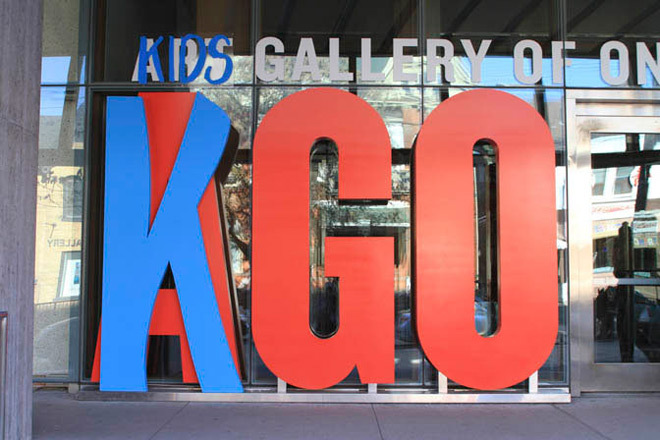 TORONTO—The Art Gallery of Ontario (AGO) celebrates Family Day 2013 by transforming for one special day into the Kids Gallery of Ontario (KGO). On Monday, Feb. 18, from 10 a.m. to 4 p.m., the Gallery will be bursting with family-friendly art activities. Exploring the theme of “art explosion,” the day’s programming will offer families plenty of hands-on opportunities to “blow up” and break down art. To make family visits more affordable that day, the AGO offers a 20 per cent discount on Family Passes, lowering the price to $39. A Family Pass admits two adults and up to five youths (ages 6 to 17). As always, admission for children age 5 and under is free. The pass, which is good for general admission to the Gallery, includes all family activities in the galleries, Jackman Hall and the Weston Family Learning Centre. FRANK restaurant at the AGO is offering a special Kids Brunch Menu for Family Day featuring bite-sized pancakes and mini sausages on Feb.18, 2013. For reservations call 416.979.6680. Kids five and under always eat for free at caféAGO with the purchase of an adult meal. • Screenings of art-inspired family films all day long in Jackman Hall. Family Day is one of many initiatives at the Gallery that aim to bring artful programming to people of all ages. “The AGO is the perfect place for families to spend some creative time together, and BMO Financial Group is proud to be Lead Sponsor of Family Programs,” said Gilles G. Ouellette, President and CEO, Private Client Group, BMO Financial Group. March Break programming at the AGO begins on March 7, 2013, and families can register for this year’s week-long day camp in person on Family Day. This year families are invited to discover all the teeny-tiny artworks in the AGO's collections and make terrifically, tiny landscapes of their own. To register for March Break Camp at the AGO or for more information call 416.979.6608 or visit www.ago.net/camps. To learn more about the AGO’s courses, workshops, camps and Family Day offerings, please visit www.ago.net/learning. The AGO is located at 317 Dundas St. W. (between Beverley Street and McCaul Street). It is easily accessible by the TTC via St Patrick Subway Station or the Dundas streetcar. Please visit www.ago.net for more information on directions and parking. Education Programs at the AGO are generously supported by smART women with additional support from the Learning Fund. The AGO acknowledges the generous support of its Signature Partners: American Express, Signature Partner of the Conservation Program; and Aimia, Signature Partner of the Photography Collection Program. Established in 1817 as Bank of Montreal, BMO Financial Group is a highly-diversified North American financial services organization. With total assets of $525 billion as at October 31, 2012, and more than 46,000 employees, BMO Financial Group provides a broad range of personal and commercial banking, wealth management and investment banking products and solutions. For more than 194 years, BMO Financial Group has believed in community reinvestment and corporate and social responsibility in the communities it serves. In 2011, BMO contributed more than $66.4 million in donations, sponsorships and events in Canada and the United States to groups, organizations and programs that help build and sustain resilient, vital and healthy communities. Aug. 17–Oct. 27, 2013: Ai Weiwei: According to What? The AGO is funded in part by the Ontario Ministry of Tourism, Culture and Sport. Additional operating support is received from the City of Toronto, the Canada Council for the Arts and generous contributions from AGO members, donors and private-sector partners. On Feb. 7, 2013, the Art Gallery of Ontario (AGO) will hand over its keys to OCAD University curatorial graduate students to throw a 1st Thursday party featuring street-inspired art, music and food. This month’s programming includes street art workshops, pop-up installations and talks with local Toronto street artists, as well as a headlining performance by First Nations DJ collective A Tribe Called Red. Doors open to adults 19+ at 6:30 p.m. Tickets are now sold out, continuing a monthly trend that began when the series launched in October 2012. In conjunction with its upcoming photography exhibition Patti Smith: Camera Solo, the Art Gallery of Ontario (AGO) is delighted to present two live performances by legendary artist Patti Smith on March 7, 2013. An Evening of Words and Song with Patti Smith will be part of the March lineup for the AGO’s popular 1st Thursdays program, with two separate performances at 7:30 p.m. and 9:45 p.m.
1st Thursdays returns to the Art Gallery of Ontario on Dec. 6, 2012, with a night of art, music and drinks inspired by the AGO’s hot fall exhibition, Frida & Diego: Passion, Politics and Painting. Doors open to adults 19+ at 6:30 p.m. Tickets are on sale now for this interactive late night fiesta, and party-goers are encouraged to buy tickets in advance as they regularly sell out. The Art Gallery of Ontario (AGO) revs up 2013 with an irresistible Canadian-inspired 1st Thursday party on Jan. 3, 2013. Event-goers will enjoy art-making experiences, live music, art talks and rare out-of-the-vault sights from the Gallery’s collection of Canadian art. Doors open to adults 19+ at 6:30 p.m. Tickets are on sale now, and revellers are encouraged to buy tickets in advance as they consistently sell out each month. The Art Gallery of Ontario (AGO) invites GTA students affected by possible school closures to spend a day with art. The AGO’s Weston Family Learning Centre will be offering an Art Day for grades JK to 6 in the event that Toronto District School Board elementary schools are closed as a result of a one-day public elementary teachers’ day of protest on Jan. 11, 2013. The Art Gallery of Ontario (AGO) and Long Winter, the monthly wintertime underground event series, will set this January’s AGO First Thursday ablaze with music, art and drinks. With over 25 participating artists, the galleries will be bursting at the seams with pop-up performances, art installations, musical guests, art talks and much more. Advance tickets are $12 for members and $15 for the general public, on sale now at ago.net/FirstThursdays. The 19+ event runs from 7 to 11:30 p.m. Pop culture influencer, musical pioneer and style icon David Bowie will make his North American exhibition debut this fall at the Art Gallery of Ontario (AGO) in the acclaimed retrospective David Bowie is, direct from its record-breaking run at the Victoria and Albert Museum (V&A) in London, England. Single tickets for the AGO’s run of the multimedia show, which was London’s hottest ticket of the year, go on sale Aug. 23, 2013. The Art Gallery of Ontario (AGO) will honour the youngest victims of the devastating 2008 earthquake in China’s Sichuan province by holding a live tribute on the opening weekend of its summer exhibition Ai Weiwei: According to What?